November 2015 | the every things. I am the perfect mom. I've heard this a few times, usually following something fun-holiday-schbang that I put together for the girls. At first I took it as a compliment..until it stopped being a compliment. My love for all things crafty/party/cute clothes has ALWAYS been something I have loved doing. Pre children, when I taught pre-k, & bought clothes for my nieces. It was nothing new that started with some trend, when I had my children. Which means, brace yourself; I do not do them to make you feel bad. My love for those things, started to make me feel not happy anymore; when people started judging me for them. I am so sick of the stupid, yes stupid; posts about how social media is making mom's feel bad about themselves. It isn't the photos of kids dressed nicely, the clean playrooms, the mom with makeup & adorable outfit on, or elaborate birthday parties that are making you feel bad. It's yourself. We do realize how silly that is to making women feel bad about doing those things, when there is literally children being abused everyday? Seriously? They are doing something FUN for THEIR child. When children are dying at the hands of their mothers & Buddy the elf fishing goldfish from the bathroom sink made you feel like a bad mom bad enough to put down another cause of it?? Sure it made the mom that isn't crafty, that doesn't have the cleanest house feel better. But what about the mom that does? How is that ending "mommy wars"?? Bring down another to bring up the other? We can't go on doing this. I am not perfect. For every holiday diddy I do, there is a time that I lost my patience. 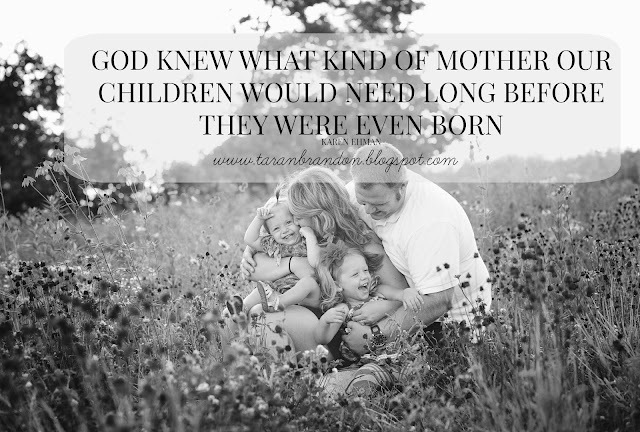 Each of us of mommas have our own great qualities. God gave us those qualities before we even had our children, he gave us those qualities because those are what our children needed from us. Neither of these qualities make them a better momma than I. My knack for all things holidays, & anothers clean house at the end of the day doesn't make us "perfect moms" or even a "good mom". I am so glad that other mommas have the qualities I do not. If it is a quality I want to instill in myself I look to them to do better, yell a little less; be a bit more organized. & If it is just something I am not capable of; like looking insanely adorable at preschool pickup line while I look like death; I cheer on that momma. Not snicker behind her back to make myself feel better. The fact that we everyday love our children. Do our absolute best that we can everyday for them, & even on days that we didn't; but we sure as hell tried. Is what makes us "good moms." You are the perfect mom to your child. God, chose me to my girls mother; & I am the perfect mom..for them.